Birtday - Illustration store PicsForDesign.com. PSP tubes, PSD illustrations, Vector illustrations. 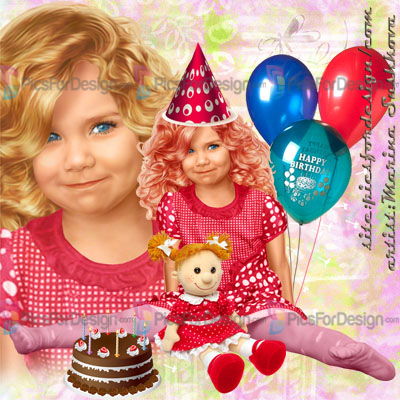 Girl, birtday, doll, present, box with hearts, cake, cap, hut, happy child.